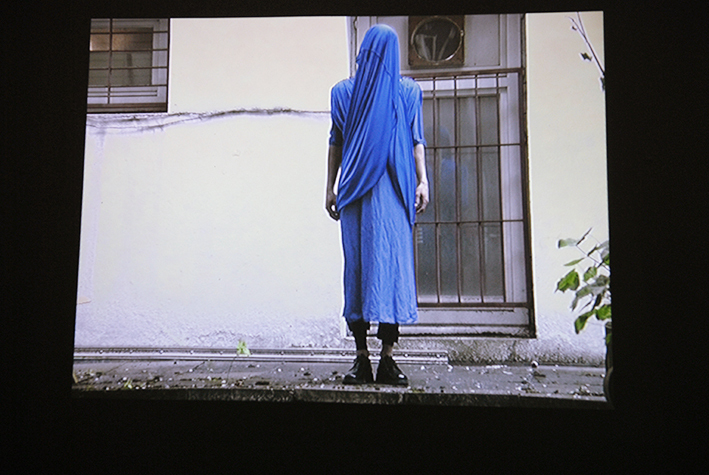 Civic virtue set up an office of propaganda as the first leg of the Grand Tour in the spring of 2012 at hinterconti in Hamburg. 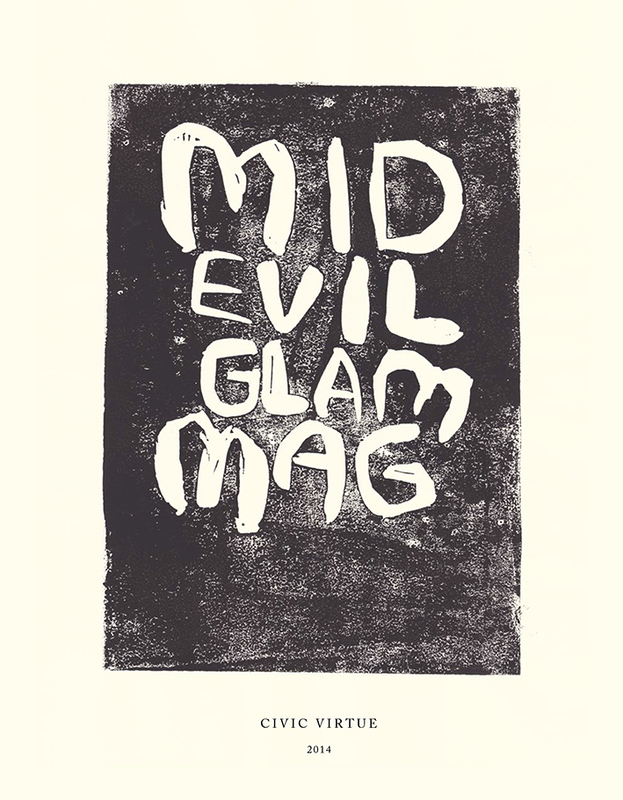 [...] The result of an intensive production period was Mid Evil Glam Mag, containing over 80 original linocut images, and 20 pages of original text and typewriter works, printed in an edition of 3. Its subject matters are recurrent themes within civic virtue such as 19th century motives of revolution and reform, and of the nature of propaganda as the procreation of ideas through images. 100 page book in an edition of 3 – containing 64 original lino prints as well as original texts. A video exploring the relationship between the medieval phenomenon of "dance mania" and the its association with the hallucinogen argot.